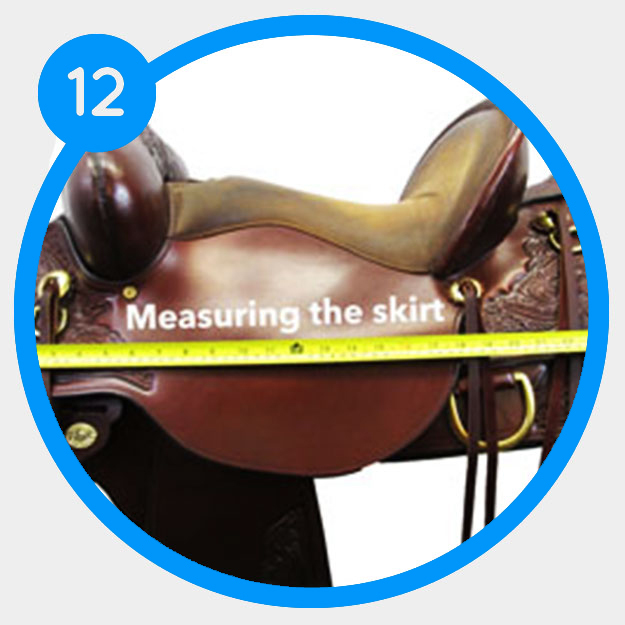 Don't know how to measure a saddle seat? Not sure what kind of tree your saddle has? This article is for those of you who already have a saddle, aren't sure how to find out about it, and need help. 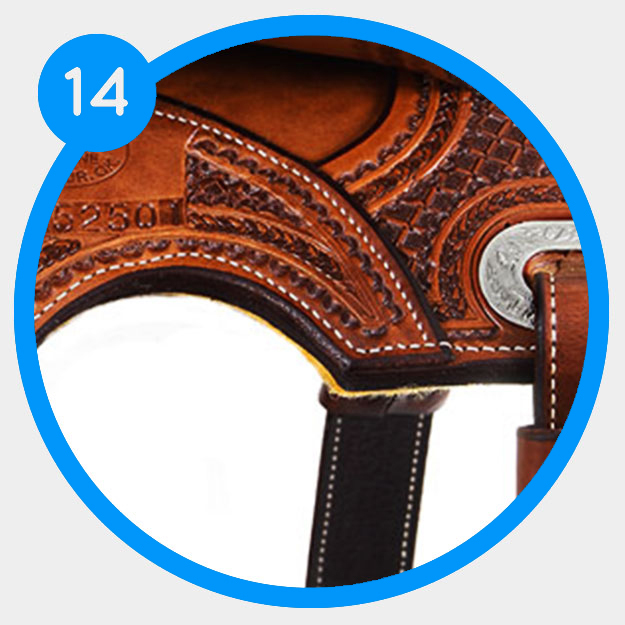 Even if you're not looking to buy another saddle or sell your own, it's still very handy to have all the information you can. 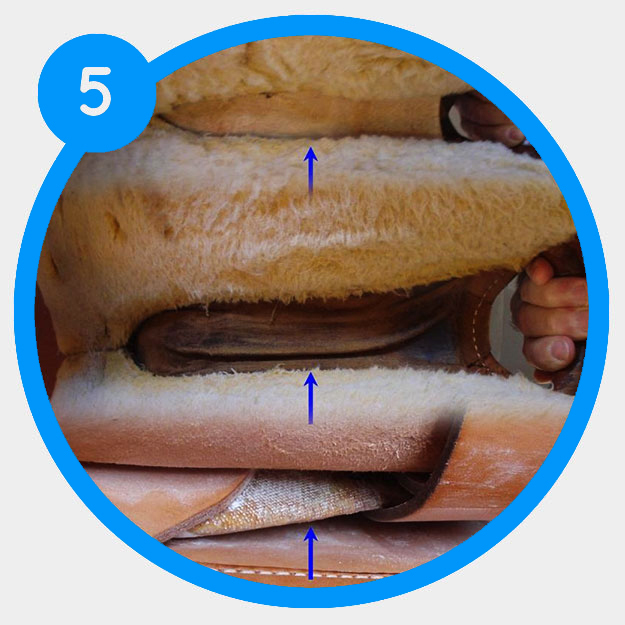 This procedure is used by our saddle experts in our consignment program to gather information and specifications of each saddle. Locate the manufacturer. Manufacturers usually have their insignia on the saddle. Most are on the left strap holder or on the fender. Some also put it on the stirrup strap. 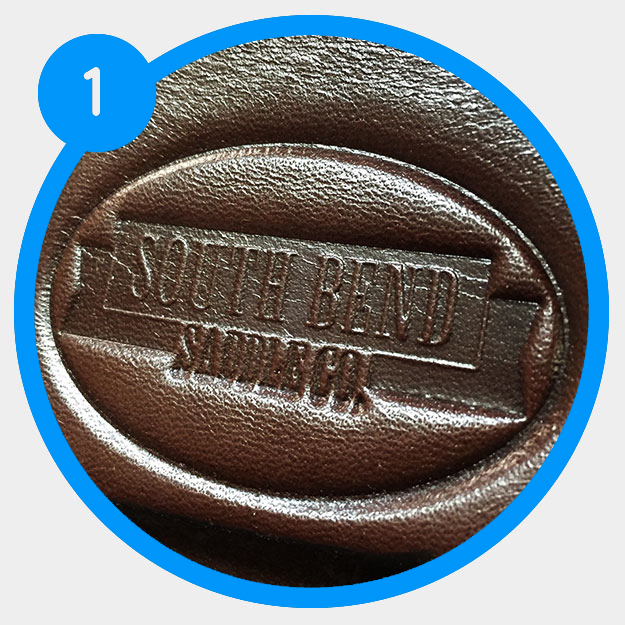 Look for the model number, this is on the left strap holder or under the skirt. 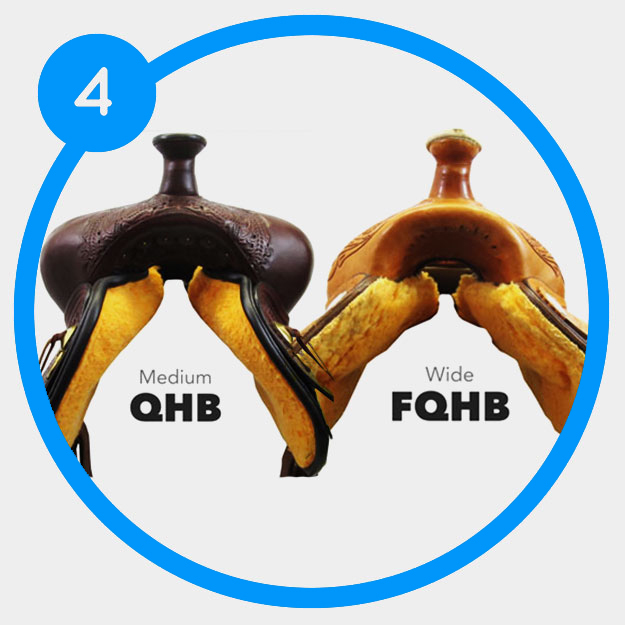 This will tell you a lot about your saddle (size, color, gullet width, etc). 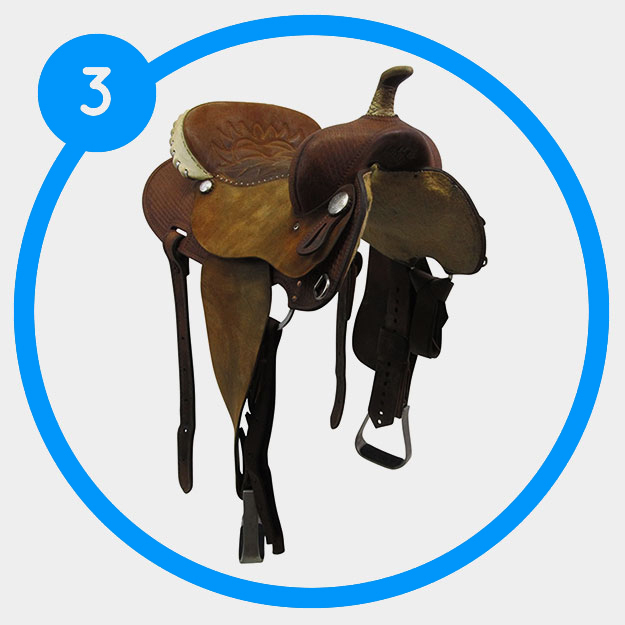 Determine what style of saddle: trail, endurance, show, ranch, roper, cutting, reining, barrel, gaited, mule, draft, trooper, etc. Not sure? 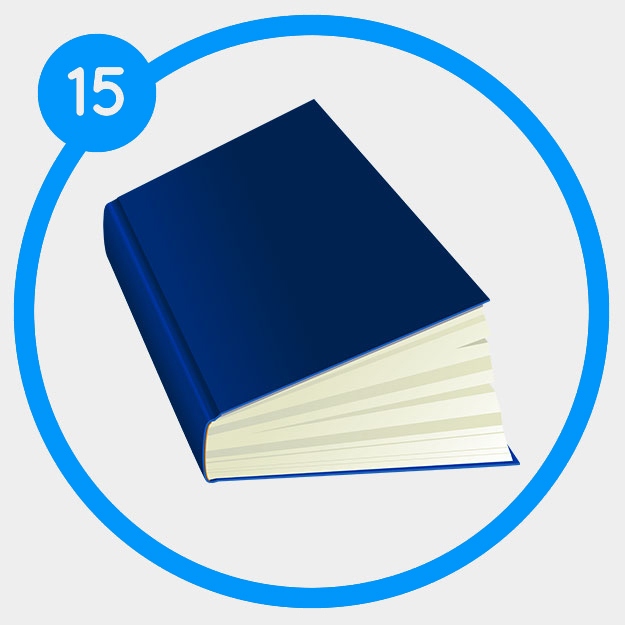 View our handy article here. Tree size is determined by the angle of the gullet. Semi QH Bars have a higher pitch and Full QH Bars have a flatter pitch. 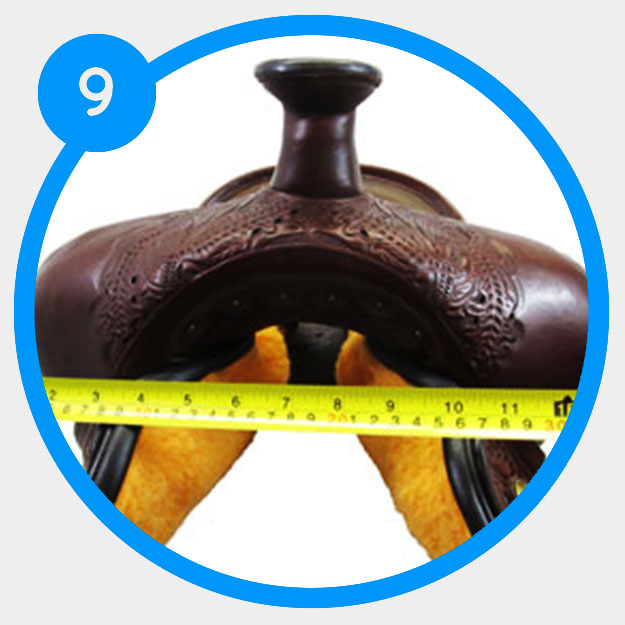 Use our downloadable gullet templates to get an accurate measure. Tree material is determined by flipping over your saddle and looking between the two sides of fleece; you will be able to see the tree. Tree options: fiberglass, rawhide, ralide, flex. 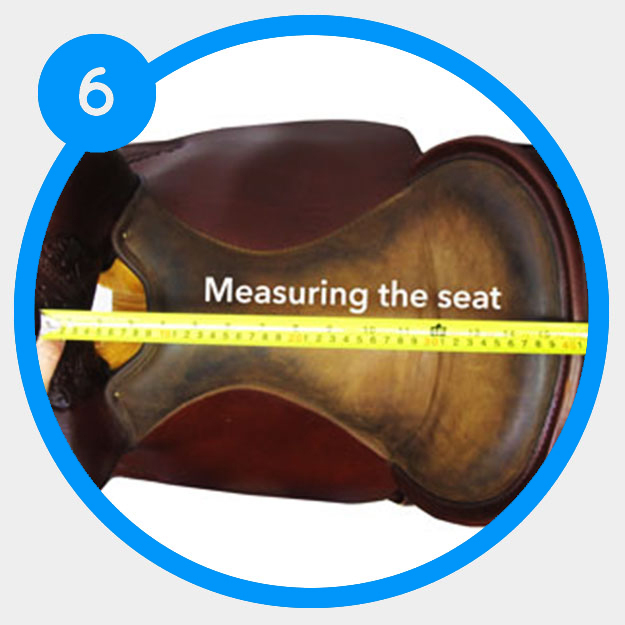 Seat size is measured from the top of the cantle (at the stitching), where the leather and seat material are attached, to the pommel or under the horn, right above the hole of the seat. Seat material is usually made of suede - which feels "grabby." It helps hold you in your seat. Smooth leather is another option, which is more slick. Grain-out leather smoother and cushier than suede. 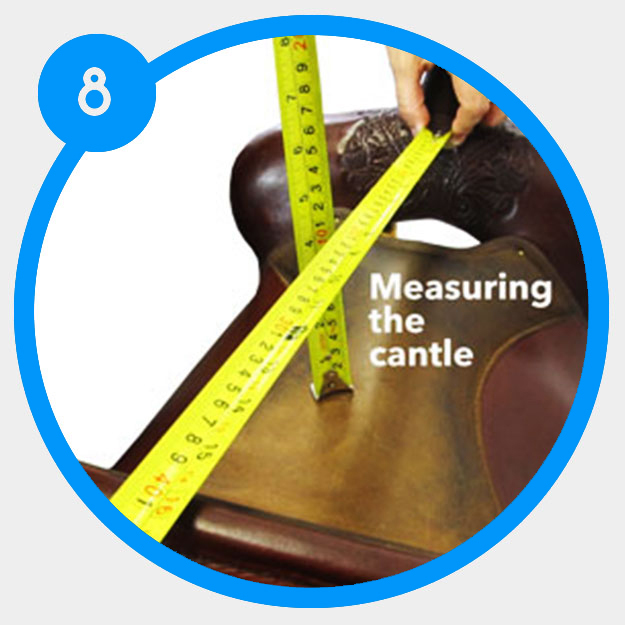 Use a retractable ruler to measure like you would the seat size and then use the straight edge down on the deepest part of the seat. 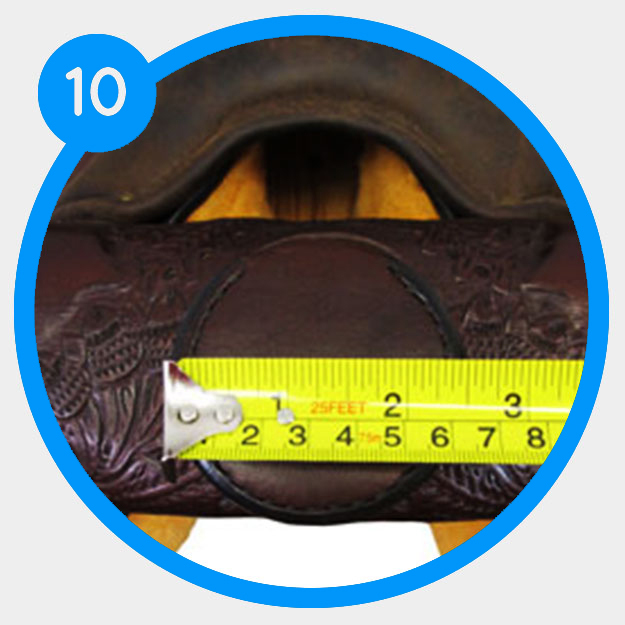 This will give you your cantle height. Swell width is determined by measuring the whole way across the swell or the area under the horn. To measure the post and the cap, use a straight edge to measure from the bottom of the horn to where the cap begins. To measure the cap, just measure from one side to the other. 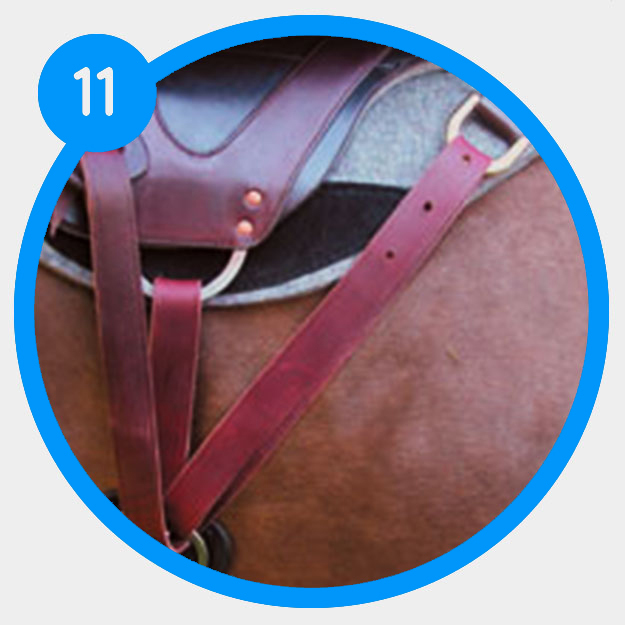 Rigging is the method of safely securing your saddle to your horse for a snug fit. For more information about different types of rigging, and to find out which style your saddle has click here. To measure the skirt length, use a tape measure and stretch it from the complete back to the complete front of the skirt. 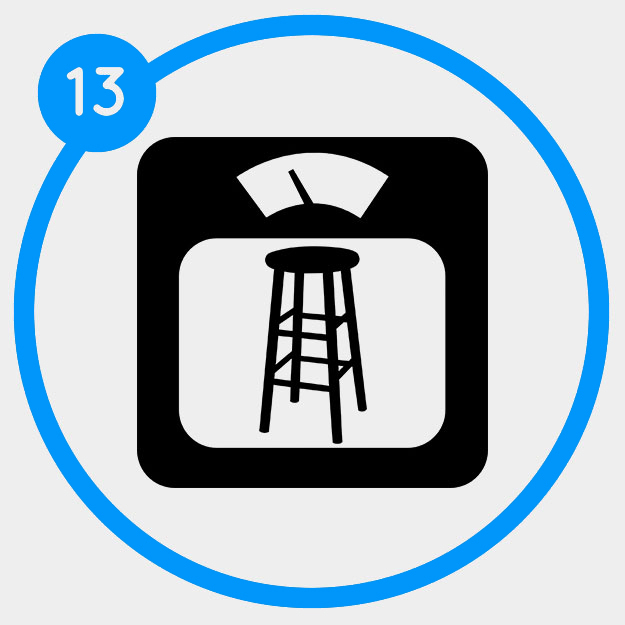 We have found the best solution to be setting the saddle on a stool which can stand on a weight scale, then subract the weight of the stool to find the weight of your saddle. 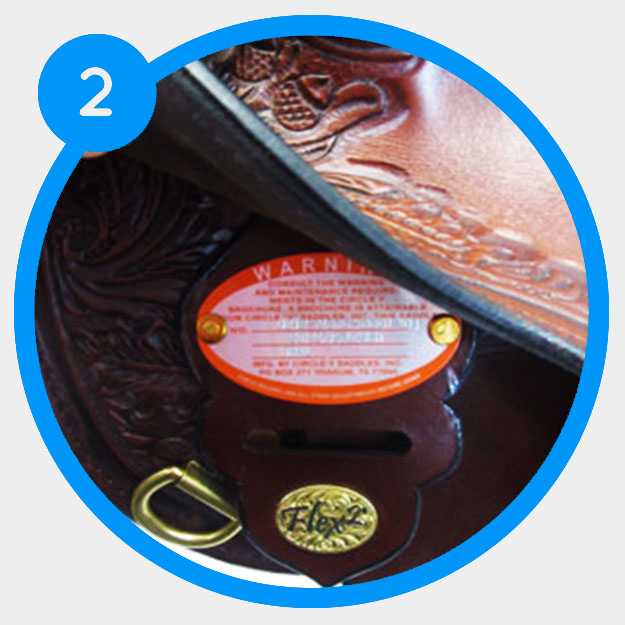 Go through the saddle with any extra features it may have like the kind of tooling, how the fleece looks, any silver and where it is located. 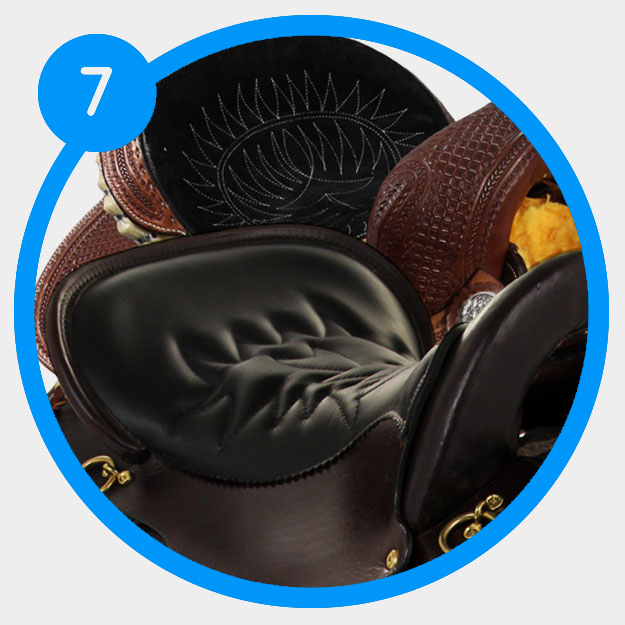 You may use our Used Saddle Blue Book to get a good estimate of what your saddle is worth.